New Jersey has its methadone clinics concentrated mostly in and around its metropolitan urban centers. However, the state has many suboxone doctors located all across New Jersey many of whom are practicing in smaller towns and rural areas. With the recent rise in opioid addiction problems across the United States, more medical providers are preparing themselves to assist people suffering with moderate to severe opioid dependency. While some individuals are able to detox successfully from opioids under supervised care, many discover that medication-assisted treatment is necessary to help them either avoid painful opioid withdrawal or to facilitate their journey into long term recovery. Methadone and (buprenorphine) suboxone are the two most popular & effective medication-assisted therapies available for opiate addicted persons. Both medications are FDA-approved, SAMHSA endorsed, and have been successfully utilized in treating opioid addiction for more than a decade. With methadone in particular, its success profile dates back to over 40 years in the United States. Methadone programs and doctors who prescribe buprenorphine serve a very important function in helping the country cope with the opioid crisis. They are also a life-saving link for patients who have suffered for years with an overwhelming addiction. Operating a methadone clinic or buprenorphine/suboxone practice is typically a complex endeavor. Clinics that offer medication-assisted treatment (MAT) must comply with a myriad of mandates and policy requirements from the DEA, the local State Methadone Authority, accreditation organizations like CARF and JCAH, SAMHSA (the Substance Abuse and Mental Health Services Administration}, and 3rd party payers who help fund treatment services. Sometimes patients will complain about “so many clinic rules” although many patients appreciate their clinic’s dedication to professionalism and its ability to meet the standards of good quality care. Within most treatment facilities are several key staff who oversee its daily operation and the provision of services. These are the Clinical Director, the Medical Director or primary prescribing physician, the Nurse Supervisor, and possibly clinical staff Team Leaders who do the work of coordinating the clinics many daily activities. While the list of clinic rules can seem long, there is nearly always an important underlying reason for that rule to exist. Most methadone clinics distribute a Handbook for clients that outlines their rights as an opioid treatment patient as well as guidelines for obtaining dosage adjustments and progressing successfully through treatment. Opioid treatment, and medication-assistance in particular, must be carefully monitored. This is to insure patient safety and to minimize the risk of medication errors. Please support your local methadone or suboxone clinic with words of encouragement and positive feedback when it is earned. Conversely, it is important to speak up as well if serious problems are occurring. Always make an effort to communicate first with the clinic’s clinical and administrative staff if experiencing a problem. If an honest effort to resolve an issue in this manner is not productive, then contacting one’s local State Methadone Authority is sometimes a logical next step for addressing an important concern. Several organizations in Ohio recently hosted a town hall discussion on the opioid crisis still occurring there and across the country. 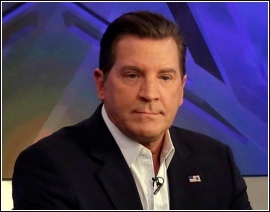 News commentator, Eric Bolling, was a moderator of the event which was held at Cedarville University. Eric and his wife, Adrienne, lost their 19 year old son in 2017 due to an accidental overdose with the powerful opioid, fentanyl. This town hall discussion was designed to continue raising public awareness on the danger of opioid misuse and the continuing need for treatment and recovery support services to help families deal with this perpetual problem. The Centers for Disease Control (CDC) report that there were 70,237 drug overdoses in 2017 with 47,600 involving opioids specifically. The article linked above states that the state of Ohio ranked 2nd in overdose deaths only behind West Virginia. There is promising news in that more Americans are now being educated on opioid risks, and consequently are taking better precautions as well as actively accessing methadone & suboxone programs offering helpful medication-assistance and behavioral counseling. Saving lives and offering recovery are messages that are being heard. In past decades, opioid addiction was skewed more heavily toward an older generation of adults. But today we have larger numbers of youth using opioids and experiencing addiction-related problems at earlier ages. Importantly, research has demonstrated conclusively that those who remain engaged in treatment for six months or more are much more likely to stabilize and to enjoy sustained success with recovery. A recent Reuters Health article highlights the fact that many opioid-addicted youth are either not yet engaging in treatment or are exiting treatment too early. While more youth are being saved through the overdose reversal drug naloxone, a majority of addicted youth are still not receiving medicated-assisted treatments such as buprenorphine or methadone. 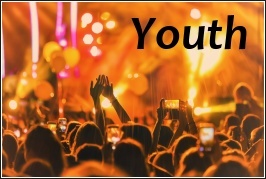 More work is necessary to open up treatment avenues for young adults across America, and to both educate & compel youth to seek MAT (medication-assisted treatment) as soon as possible. The opioid addiction problem in America will not soon disappear. Drugs continue to find their way across the U.S. border through multiple avenues. Positive efforts are indeed bringing needed change, but the complexity and extent of opioid addiction in the U.S. will require a long-term, sustained commitment throughout the country. We must get the message out – especially to young people who may not fully grasp the power of addiction! Opioid Use Disorder is the newer clinical terminology (from the DSM5) used to describe the full range of opioid problems ranging from mild opioid-related use issues to severe opioid addiction. The CDC reports that in 2017 there were 72,287 deaths from overdose in the United States. That is certainly an alarming statistic. Of that number, 49,060 of those deaths were from opioids specifically – just in 2017. By contrast, there were 58,200 U.S. fatalities that resulted from the entire Vietnam war. The good news is that government funding for opioid treatment is finally entering the stream on a local level. Increasing numbers of methadone clinics and physicians authorized to prescribe buprenorphine are moving into America’s more rural areas, ones that have historically been severely underserved. As treatment for Opioid Use Disorder becomes more readily available, people struggling under the constant pressure of addiction will have an opportunity to apply the brake, and to veer onto a new path of stability and recovery. That being said, it is estimated that presently only 1 person of 10 with an opioid use disorder has sought treatment. For many opioid addicted people, treatment made the difference between life and death. 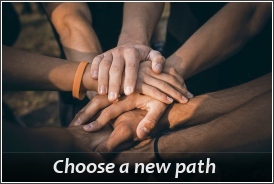 Choose a new path is more than words for those that have truly done so. Addiction is a highly persistent disease, but change is possible. Commitment and action are the necessary ingredients in opening the door to a new life. Opioid Use Disorder, in particular, is successfully treated with medication assistance. Science, research, and life experience have fortunately reinforced this fact with perfect clarity. Please find a local treatment provider today! A Presidential briefing on March 19, 2018 in Manchester, NH was used to announce that ADAPT Pharma has volunteered to provide, for free, the life-saving medication NARCAN® to all U.S. high schools, colleges and universities. NARCAN® is a name brand overdose antidote (based on naloxone) that restores breathing and consciousness in opioid overdose victims typically within five minutes. ADAPT Pharma offers a 40% discount off wholesale pricing on the Narcan nasal spray to Law Enforcement agencies and Firefighters as well as non-profit community based organizations. 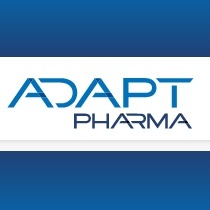 Seamus Mulligan, CEO of ADAPT, commented in a company press release that ADAPT is committed to raising awareness of opioid overdose risks and distributing NARCAN® widely so that it will be available to bystanders and emergency personnel who can offer immediate help in the event of a crisis. Drug Treatment Program featured in this space for one year. Following payment completion, please email us the clinic or physician practice information that will be displayed here. Randa Hamadeh, M.D. United Medical P.C. Rosemarie Bialecki, D.O. Projecth H.O.P.E. Marwa Hazzah, M.D. United Medical P.C. Joseph A. Pena, M.D. 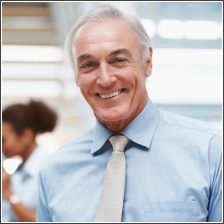 Algology Associates, P.C. Joseph M. Verret, M.D., M.P.H. Trinity Hospital, Substance Abuse Srvs. Young Bin Lee, M.D. 228 Kings Highway E.
Tadeusz J. Majchrzak, M.D. Vita-Med Family Practice, P.A. Richard Kleinmann, M.D. Richard Kleinmann,M.D. Susan F. Neshin, M.D. JSAS Health Care Inc.
Rinoo V. Shah, M.D. Freedom Pain Centers, Inc.
Hee Y. So, M.D. Valeo Behavioral Health, Inc.
Methadone.US is an information center on methadone treatment, methadone clinics, and general opioid replacement therapies. This site profiles solutions for those suffering with opiate abuse or dependency, and aims to educate the public on the value of medication-assisted treatment. Buprenorphine.US is a companion site that features thousands of local physicians approved to write prescriptions for buprenorphine and popular drugs containing buprenorphine such as Suboxone. The contents of Methadone.US are for general informational purposes only and are not intended to substitute for professional or medical evaluation, diagnosis, treatment, or advice. Users of this site are encouraged to contact your professional healthcare provider for medical assistance regarding addictive disorders, general health problems, mental health problems, and any & all health-related questions. Any information you find here or on other websites linked to from Methadone.US should be verified with your professional healthcare provider. Users who are experiencing a medical emergency should call your doctor or 911 immediately. Methadone.US is not affiliated with the pharmaceutical company Reckitt-Benckiser (the manufacturer of Suboxone). Methadone.US does not guarantee the accuracy of information contained on this site or on sites linked to from this site. Reliance on any information appearing here is solely at your own risk. The users of this site shall indemnify and hold Methadone.US, its parent company, employees, agents, and sponsors harmless from and against any and all damages, liabilities, losses, costs, and expenses, including reasonable attorney’s fees, arising out of or related to use of information, services, or products mentioned at this website. Methadone.US makes no guarantee, whatsoever, regarding clinics or advertisers listed on this site, and bears no responsibility whatsoever for information, claims, or results associated with methadone clinics, advertisers, or other service providers listed on this site. All users are encouraged to perform their own independent examination & review of any website or service listed on Methadone.US.